If you want to work for a true tech legend, the list of companies where you might apply is probably pretty short. Sure, there’s Microsoft, Apple, IBM, and Google. But don’t forget about the pioneers of selling your stuff online, eBay. The company that started in 1995 and became the poster child of the dot-com era is still a top destination for tech talent today. With great perks and solid pay, eBay jobs are in-demand across the country. *Note: salaries shown may have updated from the time of publication. Whether you’re already in management or aspire to build your career toward leading a team, it should be exciting to know eBay values their leadership talent. eBay salaries for engineering managers average out to $223,000 per year, including a $173,000 base salary, $18,000 annual bonus, and $32,000 a year in equity. And if you’d prefer to build a career outside of leadership, don’t worry: there are plenty of high-paying eBay jobs for individual contributors, too. Product managers make pretty great money no matter where they go. 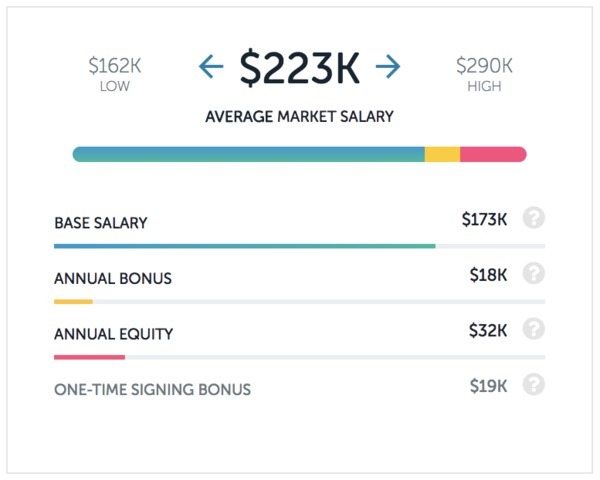 According to Paysa data, the national average salary for a product manager is $125,000 per year. But, as with many eBay jobs, this one pays considerably more than that. 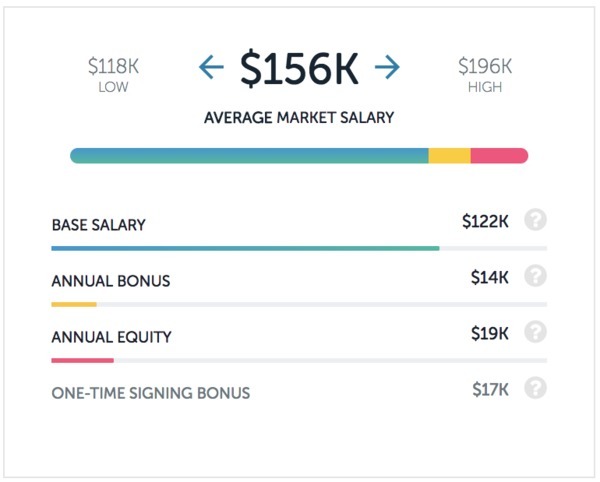 Product manager salaries at eBay average around $189,000 per year. 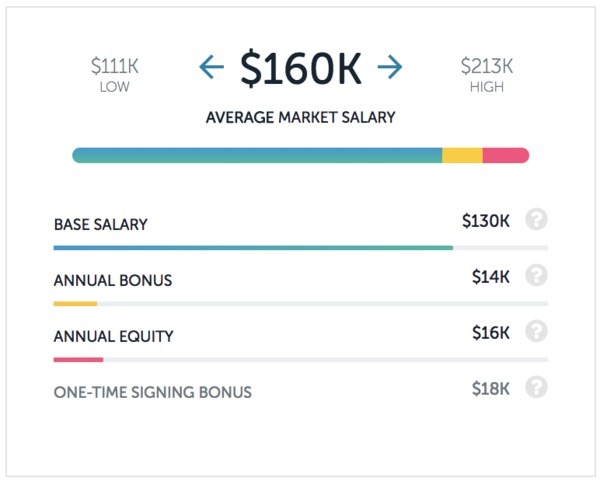 That includes a $153,000 base salary each year, $16,000 bonus, and $19,000 in annual equity. Despite the fact that the average salary for a software engineer nationwide is $109,000 per year, you’ll be hard-pressed to find a tech company in Silicon Valley attracting best-in-class talent for that much. Instead, top companies like eBay offer software engineer salaries that can climb well above $150,000 or even $200,000 per year. At eBay, software engineer salaries hover around $167,000 per year, including a base salary of $135,000, $12,000 annual bonus, and a solid $20,000 in equity each year. Like all the other eBay jobs on this list, program managers play a critical role in eBay’s operations. That’s why program manager salaries at eBay climb nearly $50,000 above the national average. 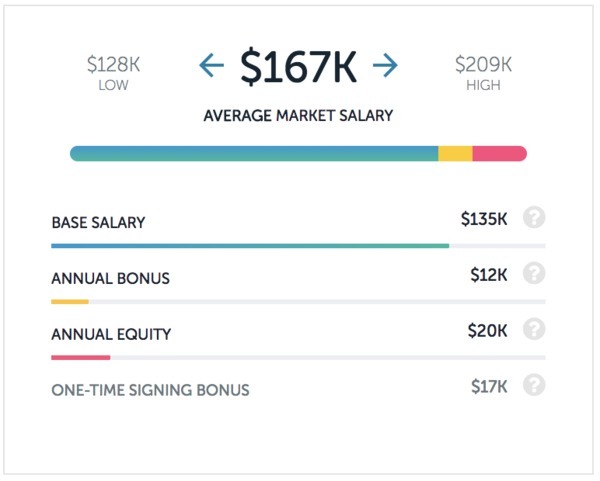 With a base salary of $130,000 per year, $14,000 annual bonus, and $16,000 in annual equity, the total salary of $160,000 per year for program managers is pretty competitive in Silicon Valley. Finally, rounding out the top five highest paying eBay jobs is system engineer. Salaries for systems engineers at eBay can climb as high as $196,000 per year, but average out to $156,000 including your $122,000 base, $14,000 bonus, and $19,000 in equity. Want to check out more salary information for eBay and start exploring eBay jobs, too? Or maybe you want to see how eBay salaries compare to the ones at Wayfair? You can view open positions on Paysa and sign up to personalize Paysa for you. Previous ArticleIs Product Management a more lucrative career than Software Engineering?